A brief stint in the VFL midway through the year was a key factor in invigorating Josh Dunkley’s 2018 season. Dunkley played in the VFL between rounds 10 and 13, returning with the confidence to tackle some of the AFL’s biggest midfielders. 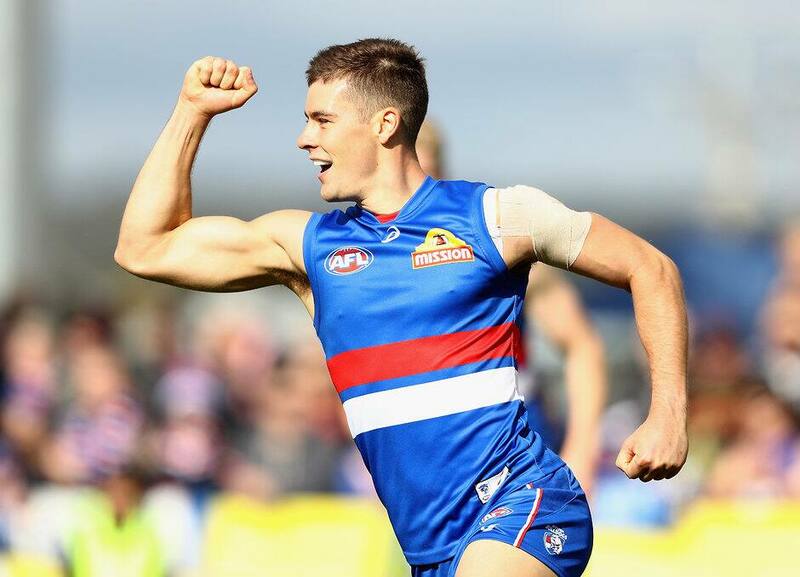 “Like every year, you have your ups and downs in footy,” Dunkley told westernbulldogs.com.au. “I went out of the side, which was really disappointing, but from there I sort of went to the coaches and they said we want you to come in as a genuine midfielder. The shift revitalised Dunkley’s season, as he returned to a run-with role on some of the game’s biggest midfielders, including Shaun Higgins, Joel Selwood and Tom Mitchell. Dunkley held Mitchell to 27 touches (collecting 23 of his own and laying 10 tackles) after the Hawks midfielder collected 50 disposals the week before against GWS. “(It was) a crazy experience. People talk about how he gets 50 touches – he works so hard. I took so much out of that game and I’m really trying to put it into my games now,” Dunkley said. “For me the start of everything is the physicality and the strength in the contest, and from there everything will look after itself. Dunkley amassed a career best 36 disposals in Round 22 against Carlton and averaged six tackles per game this season. He has a positive attitude leading into the 2019 season - which will be his fourth at the club. With 43 games under his belt, he knows that the power to improve lies in his own hands. “The sky’s sort of the limit. I’m really excited by the pre-season and what I can do. Having put the performances that I have together has been good for my confidence,” he said.